Get a great price on the SMOK AL85 Kit from Vapor DNA. The SMOK Alien 220W, my favorite all-time dual 18650 battery mod, apparently fell in love with the iStick PICO 75W, and the two had a baby together. 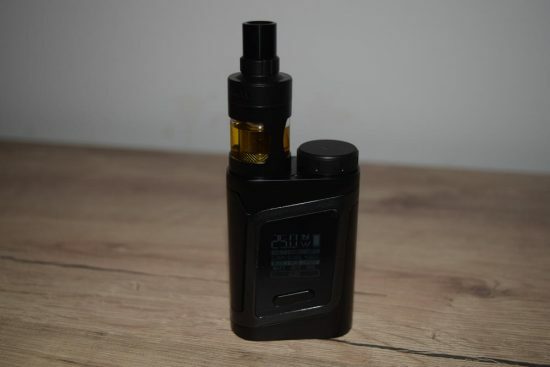 It’s called the SMOK AL85 and it’s basically a smaller version of the Alien which borrows a couple of design elements from Eleaf’s popular mini mod. In terms of ergonomics, functionality and build quality, the Alien 220W is still the best dual-battery mod money can buy, in my humble opinion, but if you’re looking for something just as good that fits in the hand even better and are willing to compromise a bit on battery life and power output, the new SMOK AL85 is just perfect. 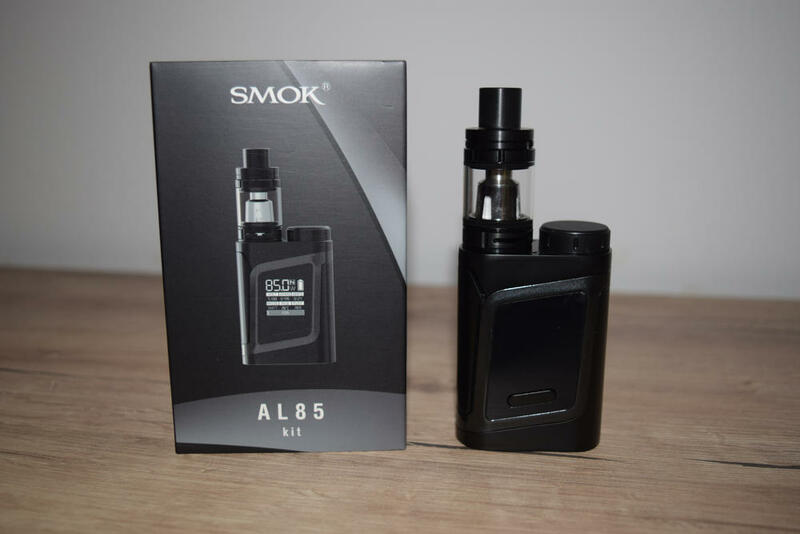 The AL85 kit comes in the same style packaging that the Alien does, a large cardboard box with a picture of the included mod and tank on the front, and a short description, list of contents and company information, on the back. SMOK has a standard packaging for all of its products, so if you’ve ever used any before, you kind of know what to expect. 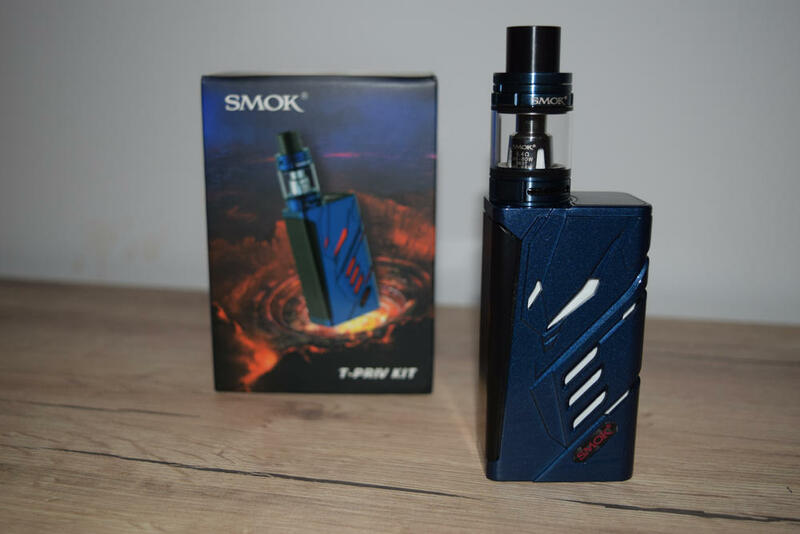 Inside the box, we have the SMOK AL85 mini mod sitting snug in a styrofoam holder, and underneath that we have the popular Baby Beast tank, a spare glass tube for the tank, a couple of coil-heads (both rated at 0.4Ω), a USB charging/update cable, and a user manual. Again, this is the standard SMOK kit, which I consider a very generous package, compared to most other brands. 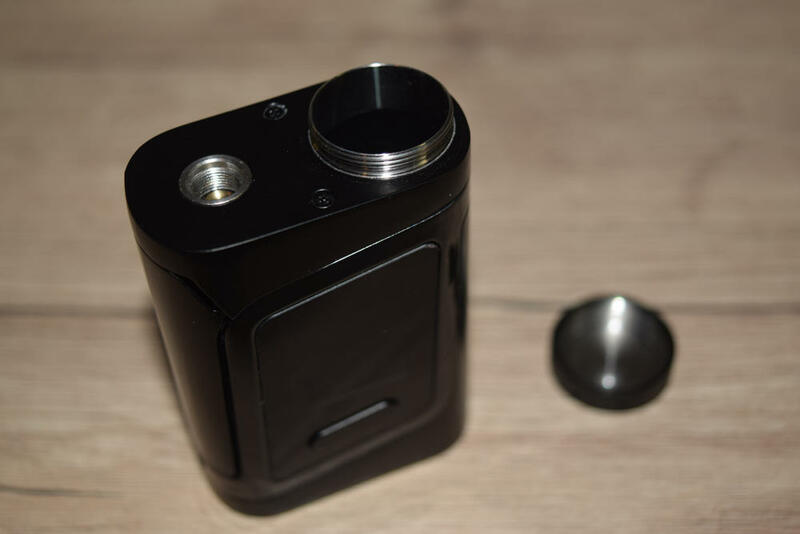 You get pretty much everything you need to start vaping, minus the e-liquid, as well as a spare glass tank, which really comes in handy if you accidentally break the tank. And yes, that happens more often than most people think. The SMOK AL85 is sometimes called the Alien Baby, and for good reason, as this is essentially a stubbier version of the popular dual-18650 battery mod. 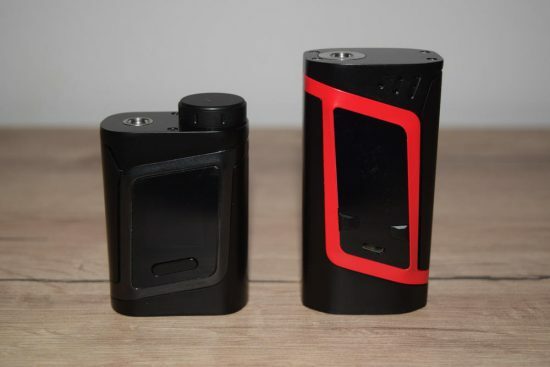 The general design line is virtually the same, only the AL85 is shorter and a bit wider, and has the battery compartment cap on top, right next to the 510 connection, whereas the Alien 220W has a battery door located on the bottom of the device. Other that that, it’s a mini version of the Alien. 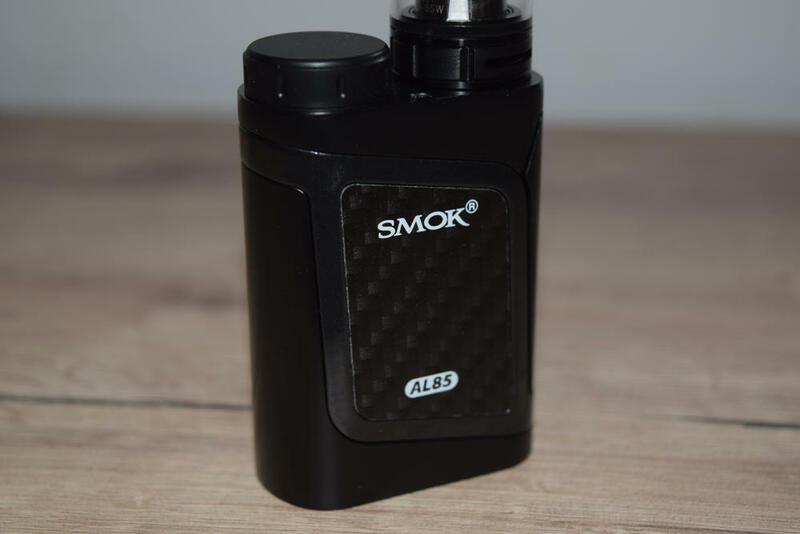 The AL85 has the same trigger-like firing bar as the SMOK Alien 220W, and it’s just as solid and easy to use as before, the same exact OLED display, with the “+” and “-” buttons located right under it, and the same carbon-fiber panel featuring the SMOK and AL85 logos, on the opposite side. The SMOK AL85 is 71mm tall, 48mm wide and 27mm thick, so it’s considerably shorter than the Alien mod, and only a bit wider, which, after holding it in my hand, I think is a plus. While some mini mods are sometimes a bit too small for comfort, the girth of the AL85 feels just right. It retains the stealthiness of a mini mod, but when it comes to ergonomics, it’s better than any mini mod I have ever used. Instead of the classic battery door, the SMOK AL85 has the same style protruding cap of the Eleaf PICO mod. This allowed manufacturer to keep the overall size of the device as low as possible, while still incorporating a full-size 18650 battery compartment. Yes, the cap sticks out a little bit, but I don’t think it ruins the overall look of the device. To insert the battery, simply unscrew the metal cap, pop it in with the positive facing down, and just screw the cap back on. It’s very simple, and the threading on the cap is very fine, so you won’t have to struggle to screw it back on. 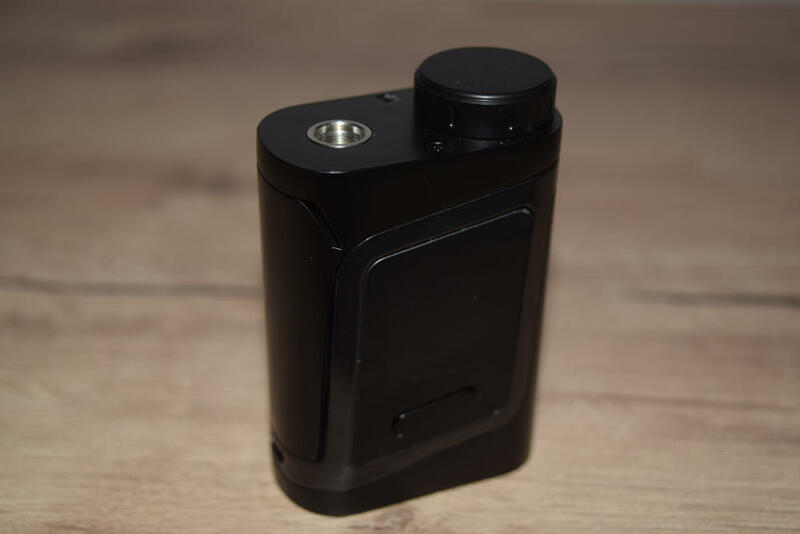 And, unlike the PICO, the cap is located near the edge of the mod, so you have plenty of space for a 24mm, maybe even 25mm, tank. 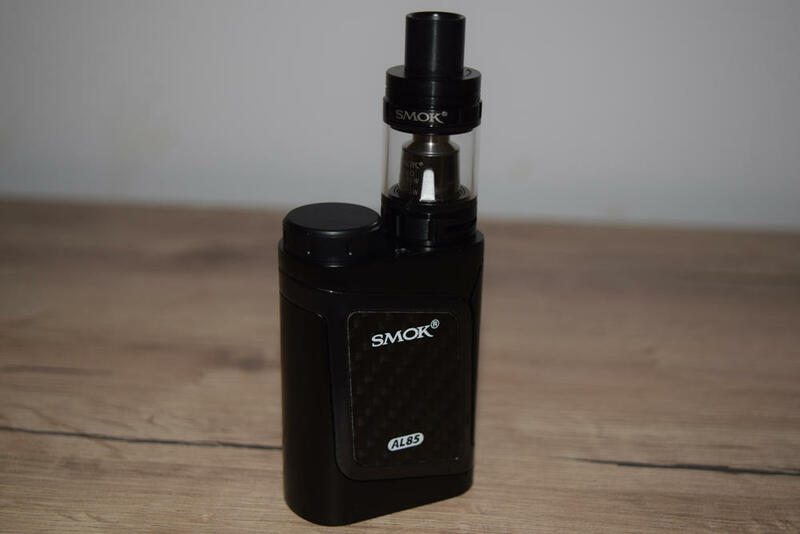 Finally, one of the coolest things about the SMOK AL85 is that it comes in no less than 18 color combination, including the classic black&red, black&gold, but also new additions, like camouflage and color spray. Overall, the SMOK AL85 has the same high-quality as the Alien 220W. The metallic zinc allow body feels solid, there is absolutely no button rattle, and the finish is flawless. There has been quite a lot of controversy regarding the quality of the paint job on the Alien, with some people complaining that it chipped off too easily, but mine has been holding up pretty well after more than a year of heavy use. 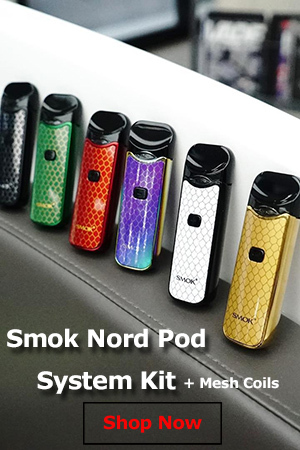 Anyway, SMOK claims that they’ve updated their finish, so this one should be much better. The SMOK AL85 comes with the same chip and display as the Alien 220W mod, so it has the exact same menu and features as the larger device. The large display is very bright and has all the information you could possibly want on the home screen. Some people think it’s too crowded, but I consider it a plus, as you don’t have to go into the menu to check certain settings. 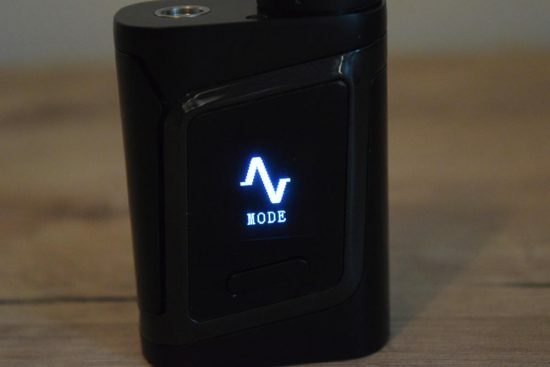 You have the mode you are vaping in, the pre-heat setting, the wattage/temperature, real-time voltage, resistance of the atomizer, amperage, puff counter and even the temperature of the chip. It looks a bit complicated, if you’re not used to it, but you don’t really need to keep an eye on everything, if you don’t want to. To turn on the AL85 after you’ve inserted the battery, press the firing bar five times in rapid succession. You can adjust the most important settings on the home screen, but for the more advanced features, you have to go into the main menu, by pressing the firing bar three times, rapidly. In Mode, you can switch between wattage mode, temperature control and memory mode, and select the pre-heat setting (Soft, Normal and Hard), or the wattage, depending on what mode you’re in. In Puffs, you can set a max. 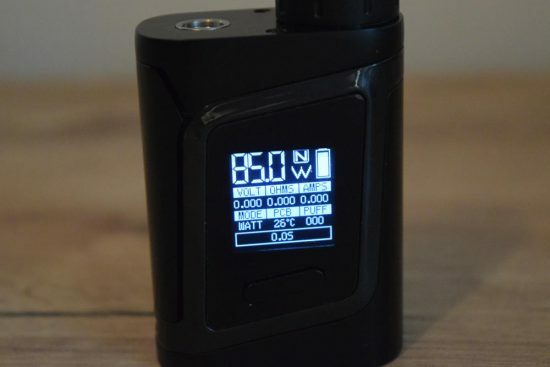 number of puffs and reset the puff counter, in Settings, you have a variety of screen settings, adjust the resistance of the atomizer, and download firmware updated. Finally, Power allows you to turn off the mod. 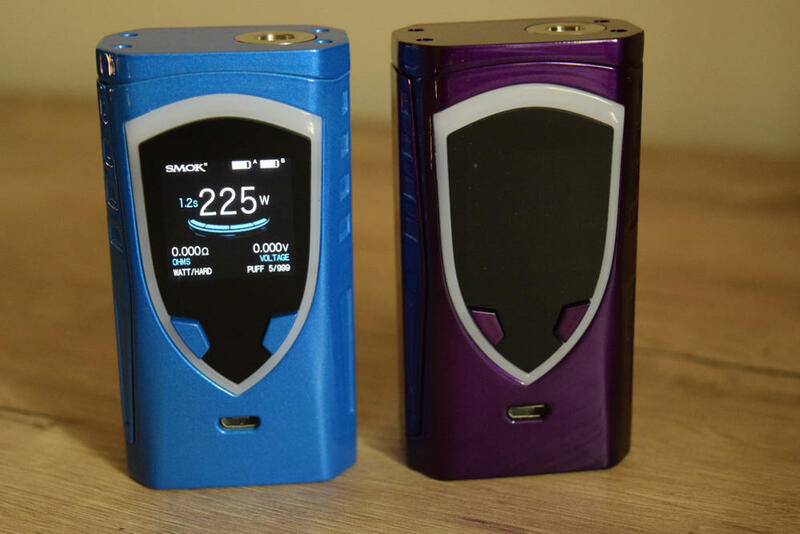 On the home screen, you can adjust the wattage/temperature using the “+” and “-” under the display, but you can also switch the vaping mode by pressing the firing bar and “-” button simultaneously, and change the pre-heat setting by pressing the “+” and the firing bar at the same time. That’s pretty much all there is to the menu of the SMOK AL85. As I said, it’s identical to the one of the Alien, so if you need any other information, check out my review of the Alien. 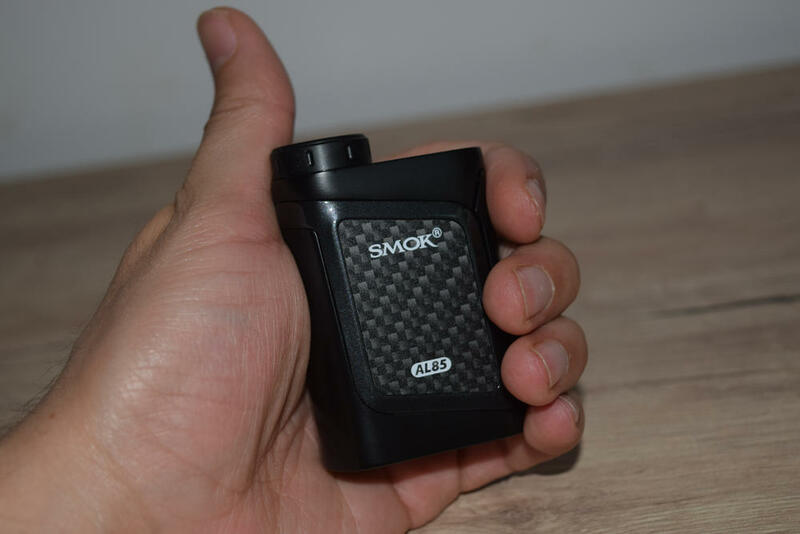 Battery life on the SMOK AL85 depends on a variety of factors, like the capacity of the battery, the wattage you are vaping at, and how much you’re using the mod. In my experience, you get about half the battery life on the Alien 220W, which makes sense, since this one is powered by a single 18650 battery. Using the included Baby Beast tank and vaping at around 60W, I got about 5 hours of heavy use out of the AL85 mod, which is decent for a single battery device. I was using an LG HG2 battery, in case you’re interested. You could probably get a couple of hours more if you lower the wattage, but that’s not really an option for me, since vaping at under 50W is not my cup pf tea. I like my vapor nice and warm, and my sweet spot is between 60W and 90W. 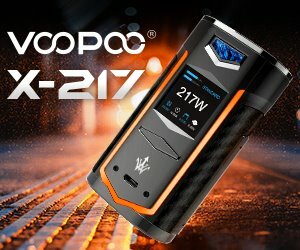 While the SMOK AL85 supports on-board charging, it doesn’t however feature the fast-charging technology we’ve seen on newer devices like the Wismec Predator 228 or Joyetech Atopack Penguin. The battery usually takes between 3-4 hours to charge up completely, depending on its capacity, so carrying a spare battery on you when you leave the house is highly recommended. One thing I forgot to mention in the design section of the review is the lack of battery venting. 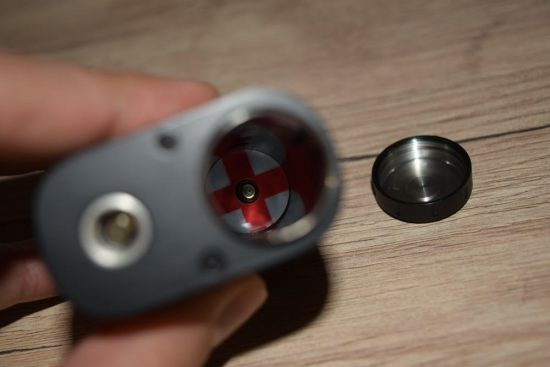 Even though most high-quality regulated mods come with several built-in protection features that prevent problems like battery overheating, I still think SMOK should have punched a few holes, either in the battery cap or in the bottom of the device, just to be sure. It’s not a deal-breaker, but it’s a pretty important and simple to implement safety feature. Performance-wise, I found the small Alien to be a worthy successor of the original. Keeping in mind its limited power output and battery life, it’s just as responsive and as accurate as the Alien 220W. I have mostly been using it in wattage mode, with the pre-heat option set to high, and it’s been performing very well. You do have a slight delay when you’re using the device for the first time after a few minutes, as I believe it “goes to sleep” when it’s not in use for a longer period of time. But the first Alien had that too, and unless you’ve a lot of experience with a variety of mods, you probably won’t even notice it. In temp. control mode, I only tested the mod with the stainless steel coils that come in the kit, and it seemed to be working pretty well. I don’t have a lot of experience with temperature control, so I can’t really give you too many details about that. One thing I heard is that devices that came with the 1.0.7 version of the software apparently have problems with temp.control – they jump back into wattage mode for no apparent reason – and also drain the battery much faster. My sample came with the 1.0.12 version, and I haven’t noticed these problems. 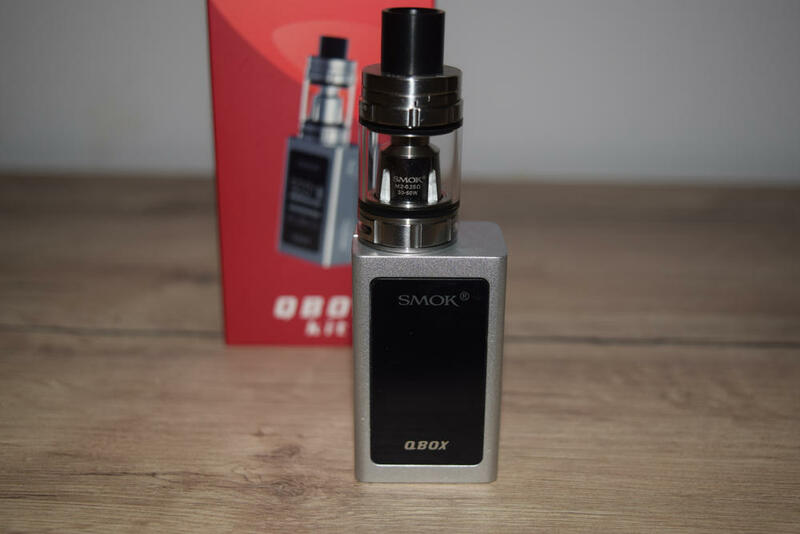 Also, while the SMOK AL85 is firmware upgradable, the Chinese company hasn’t yet released any updates for it, so don’t use any software other than that listed on the SMOK website. Some people tried using versions of the Alien 220W software and only managed to brick their mods. Not too much to say her that hasn’t already been said in my reviews of the original SMOK Alien kit and that of the new SMOK OSUB Baby, both of which come with the exact same tank. It’s the company’s most popular tank to date, and as testament to that it has so far been paired with over a dozen of its vaping devices. As its the much smaller version of the SMOK TFV8 Cloud Beast, you can expect excellent vapor production for its size, and above average flavor intensity. The Baby Beast holds 3ml of e-liquid and comes with two stainless steel coil-heads rated at 0.4Ω. They perform incredibly well, have a moderate rate of e-liquid consumption and will last you at least a week, even two if you’re using a clear juice with not too much sugar in it. The Baby Beast has been around for a while now, but it remains one of the best, if not the best, small size tank on the market, which is why SMOK keeps relying heavily on it for its starter kits. 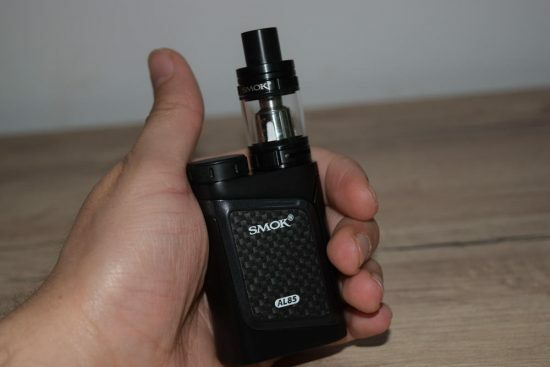 If you expect the SMOK AL85 to be a smaller Alien, you’re right, that’s pretty much what you’re getting. It has the same general design, only on a smaller scale, the exact same chip, menu and and display and exactly the same features. 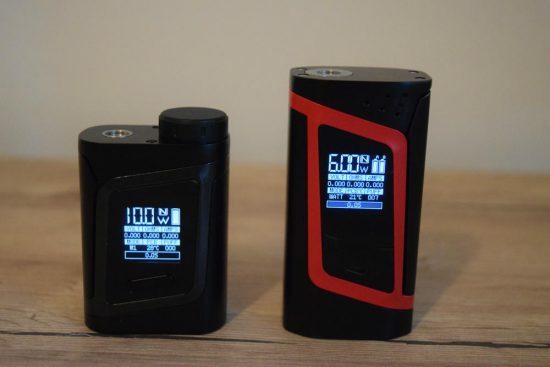 The power output tops out at 80W, and the battery life is half what you’re getting from the dual-18650 battery version, but very few people ever go over 80W anyway. The battery life can be a problem, but if you’re only considering getting this device for usage on the go, or if you’re not a particularly heavy vaper, that shouldn’t be a huge problem. Or you can always get a spare battery. Overall, it’s a very solid device and a worthy member of the SMOK Alien family. A special thanks to Vapor4Life for sending me the sample used for this review. While I had great expectations and the AL85 looked great, my experience was different. The unit super-heated instantly when I attempted to vape and was so hot it had to be immediately set down. The store where I bought it confirmed the problem but told me I would have to return it to the manufacturer. I did so but received no response within a month. Two emails went unanswered. Three phone calls and three months brought no resolution. On the first call I was told that they were busy due to a backlog and I could expect a replacement in 6 weeks. On the second call I was told that they had a computer glitch and couldn’t help me. On the third call I was told that they couldn’t help me without a tracking number. Unfortunately, I did not keep that. I reported this to the Better Business Bureau but SMOK did not respond. There is no way to contact the manufacturer directly, only the service agency that handles the repairs and replacements. Because of this, I cannot recommend the product. I give this a two star rating, because the screen died within 3 days of purchase, so I became unable to see what wattage at which it was heating up. I took it to the retailor who said that I’d have to seek satisfaction from the retailor. The setting is too high and I am very disappointed since I spent about $180 for the whole kit and caboodle. The battery cap gets super hot and if i don’t press on the battery cap it just won’t work and says battery low. Useless.